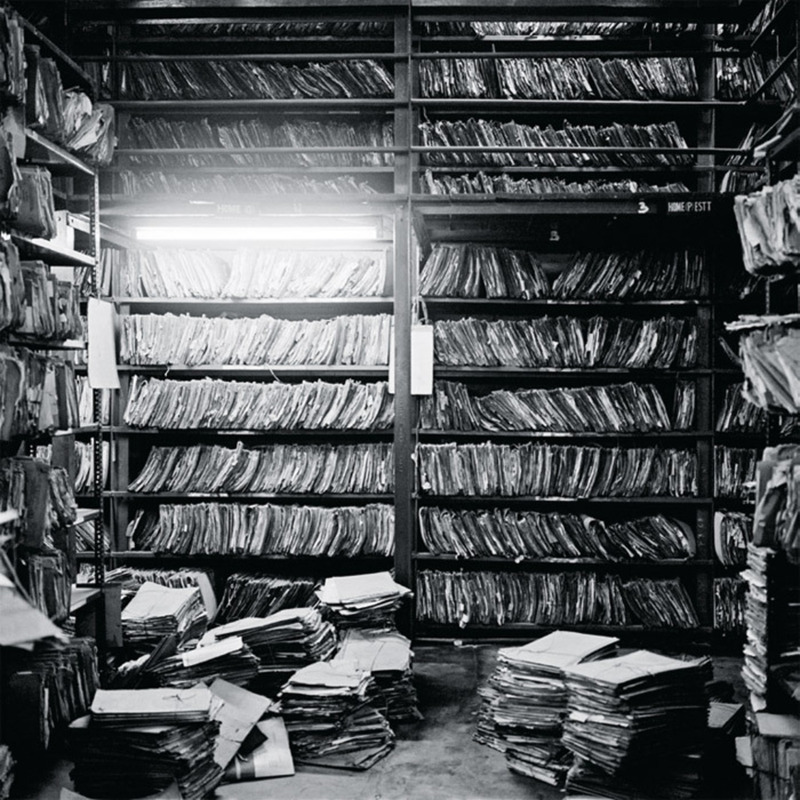 Dayanita Singh, File Room, 2011, archival pigment print. From the thirty-six-part suite File Room. THE PRINT ON THE WALL is no longer my only form. The focus of my photography is more the “mass-produced” artist’s book (which I have made in collaboration with Steidl), and the new genre I am exploring is “photo fiction,” as in my 2011 House of Love book. Perhaps my form will move toward digital projection, as in Dream Villa, 2010. But most of all, I find myself working with the architecture of showing images. File Museum, 2012, is a two-meter-high structure that opens like a large book, revealing eighty images on the inside, and that has forty images from the File Room work on the outside. It is a mobile museum where the display can change again and again. Photography is just the starting point, not an end in itself.